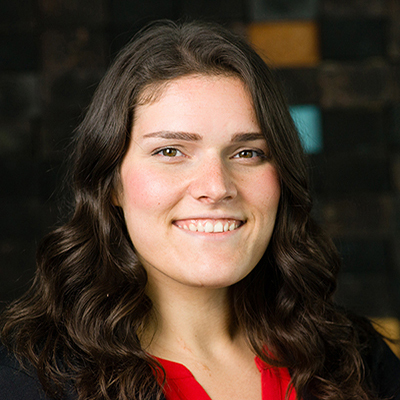 Jenna Feldman, Educational Programs Coordinator, is responsible for implementing and developing mHUB’s educational and mentorship related programs and resources. Her passion for public service first took root working with the Chicago Mayor’s Office of Press and Communications, drafting press releases and compiling media reports. She later transitioned to Development Director with a geosocial startup, Bahay, driving community engagement and fundraising initiatives. Just prior to her transition to mHUB, Jenna worked with Just The Beginning-A Pipeline Organization where she managed the daily operations of the organization, as well as developed, implemented, and facilitated legal oriented programming to high school students and professionals across the nation with the goal of diversifying the legal and professional fields. Jenna graduated from DePaul University with a Bachelor’s degree in Relational Communication. She is currently working toward her dual Master’s degree for Multicultural Communication and Organizational Communication at DePaul University.